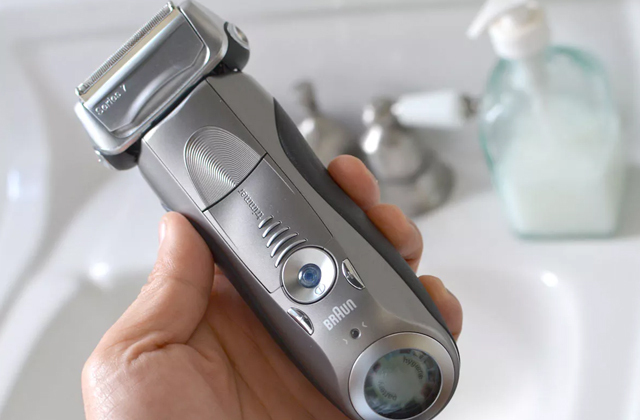 The Braun Series 7 790cc-4 Electric Foil Shaver has the world’s only intelligent Sonic technology that automatically increases power in difficult areas. 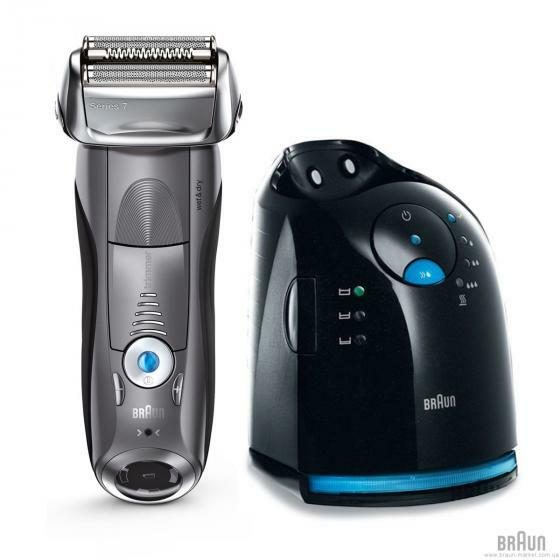 Powered by a lithium ion battery, the Braun Series 7 790cc electric razor is the smart choice for the discerning man. 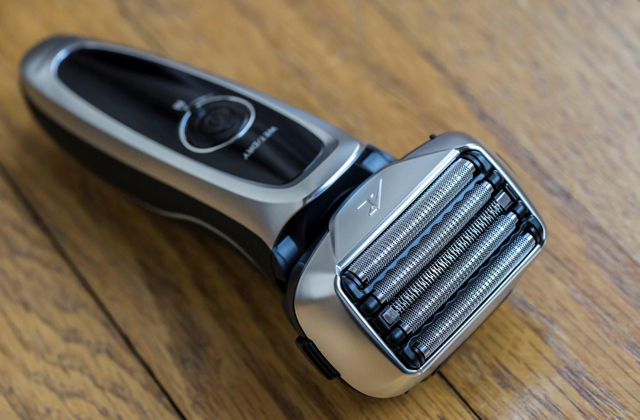 Significantly gentler and more efficient than any rotary shaver, the Series 7 contours to the curves of your face with flexible blades on a fully pivoting head for maximum coverage. 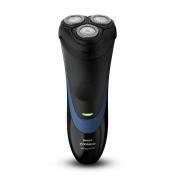 This electric razor also adapts to your beard density, using up to 10,000 micro vibrations per minute when needed. 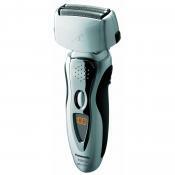 With less strokes and pressure required, the results are smooth skin without the skin irritation. 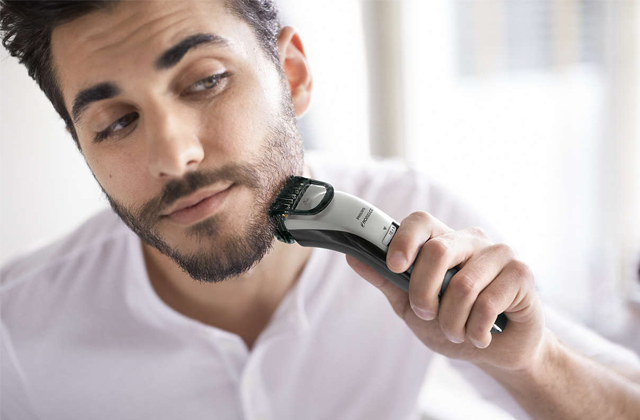 And as the Series 7 electric razor shaves as close as 0.05mm, as thin as half a human hair, that smoothness lasts longer, for a highly efficient and superior shave. 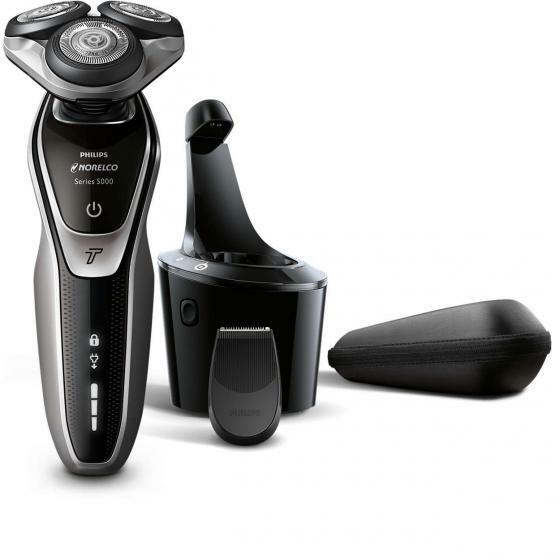 The electric shaver also comes with a Clean&Charge station, the world's only 5- action alcohol-based system that hygiencially cleans, charges, and lubricates the blades and shaver. 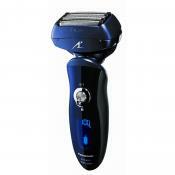 Engineered, tested and made in Germany, you are guaranteed exceptional performance every day, for up to 7 years. 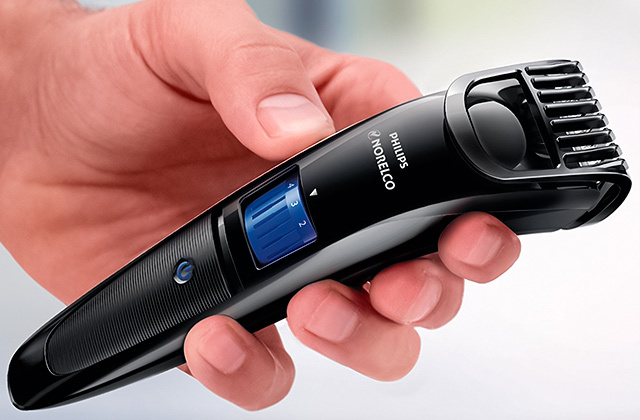 The Philips Norelco Shaver 5700 speeds up your morning routine with 10% more power. 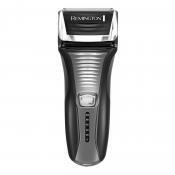 Shave even faster through dense parts of your beard with the 10% extra power boost you get by activating Turbo mode. 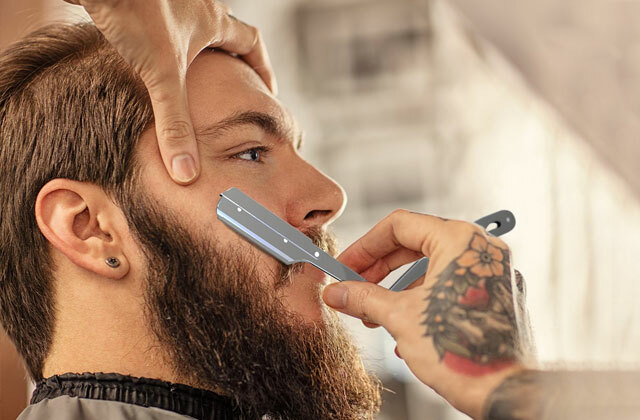 MultiPrecision blades raise and cut long and short hairs while shaving heads independently move in 5 directions to ensure close skin contact for a faster and closer shave, even on neck and jaw line. 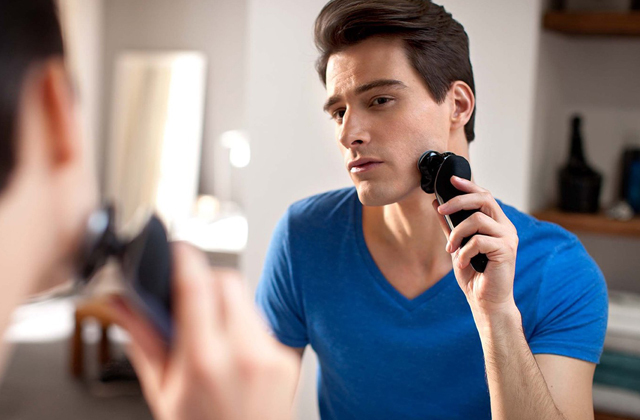 The SmartClean system keeps your shaver like new, day after day. It also can work both wet and dry. I tried to use it both ways and found that it worked well in both ways. I also like the fact that I can wash out the shaver heads after each use. I was particularly impressed that the whiskers washed off easily in hot water. 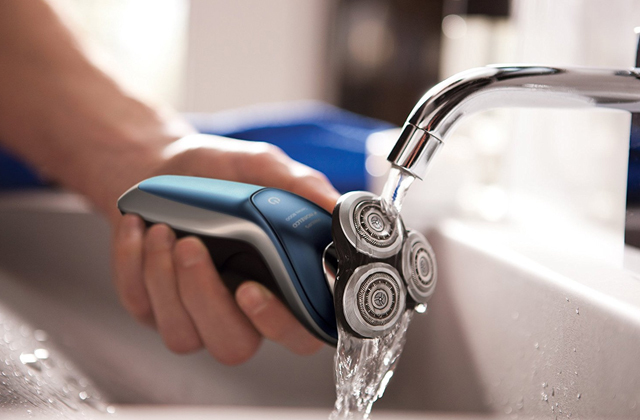 This shaver can be washed with soap/water. 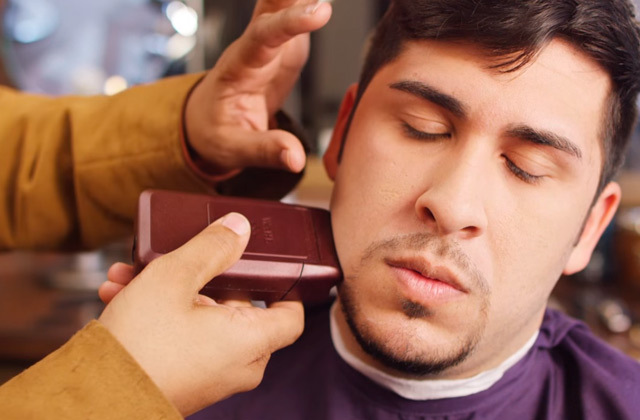 The downside to the wet shave is that it didn't pick up the cut hair very well, so it was hard to tell what was cleanly shaved and what wasn't. 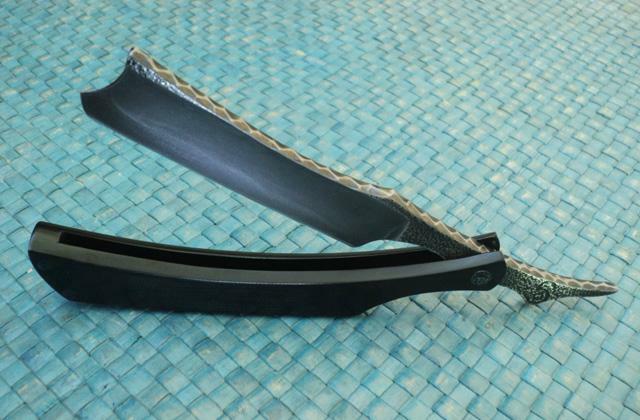 I found the razor very lightweight. I must say that I really like the size of the cutting head. It covers more area than previous units I've tried. The overall size of the base takes up a large area on the counter. I would prefer that it used a nicer material than the hard plastic. There is an LED battery level indicator which lights up every time you turn it off, so you know how much charge is left. The battery charge indicator is useful. 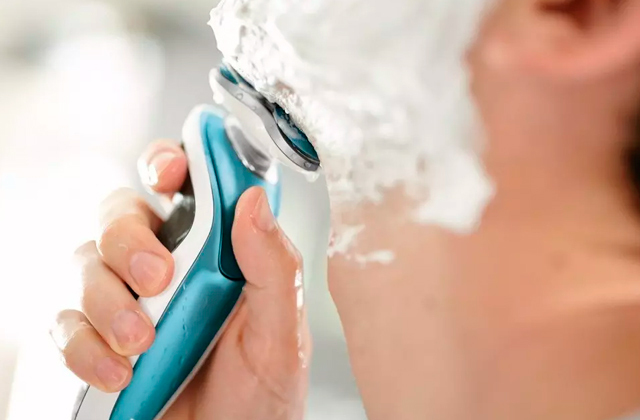 The shaver has a battery charge indicator, which lets you know when the shaver is fully charged, and gives you the current status of its charge when using. The charge time is actually very quick. 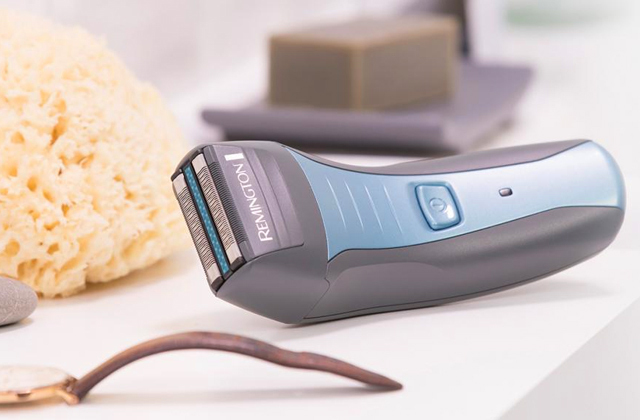 It only took an hour to charge to full capacity, allowing the shaver to operate for at least 10 days on the initial charge. I love the charging indicator. The design is very ergonomic fitting easily in my hand making it a pleasure to hold. 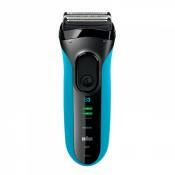 When you`re done shaving there is a light that goes on to remind you to rinse the blades which is handy. The cleaning/charging station is pretty nice as well. 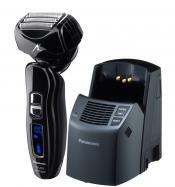 It is easy to clean and easy to charge, with the included charging/cleaning station. 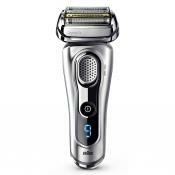 It has 3 flexible heads that flex in 5 directions so that allows it to conform to your face and deliver a close shave. The only drawback that I have run into so far is the all-in-one cleaning & charging station. Though it functions well and serves an important purpose, those with limited counter space may find that the convenience of the unit is not worth the space that it takes up.